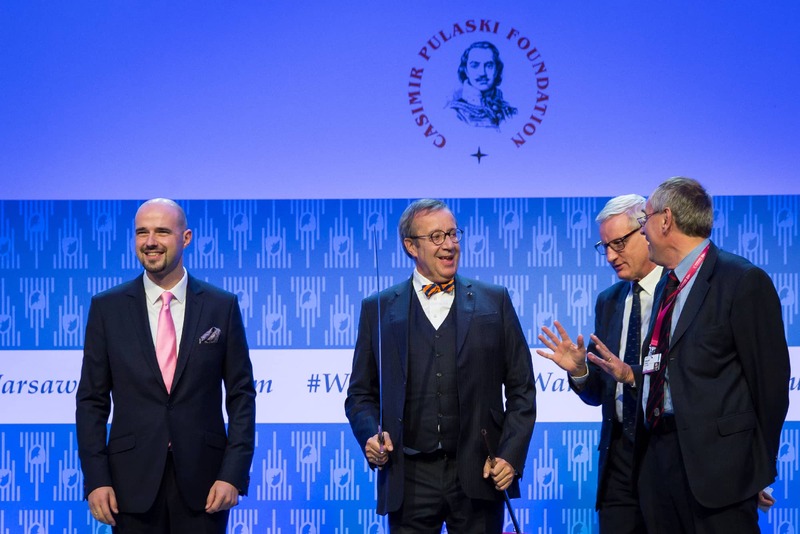 President Toomas Hendrik Ilves was awarded “the Knight of Freedom” – an annual award given by Pulaski Foundation to an outstanding person who has promoted the values like: freedom, justice, and democracy. Toomas Hendrik Ilves is an Estonian politician who served as the President of Estonia from 2006 until 2016. Ilves worked as a diplomat and journalist, and he was the leader of the Social Democratic Party in the 1990s. He served in the government as Minister of Foreign Affairs from 1996 to 1998 and again from 1999 to 2002. "We want the NATO to adapt toward 360° approach” – ministers of defence and of foreign affairs about the NATO and international security during the Warsaw Security Forum.